July 10, 2013, 9:23 a.m.
BBC iPlayer was the #1 brand in terms of consumer perception for the first half of 2013, according to YouGov BrandIndex. The BBC’s internet television and radio service, which was launched in 2007, had the highest *Buzz score of any UK brand for the first half of this year. Electronics giant Samsung leapt five places from this time last year to become the second most positively-viewed brand in Britain, followed by department store chain John Lewis, which rose one spot from this time last year and now sits at #3 on YouGov’s half-year brand ranking. 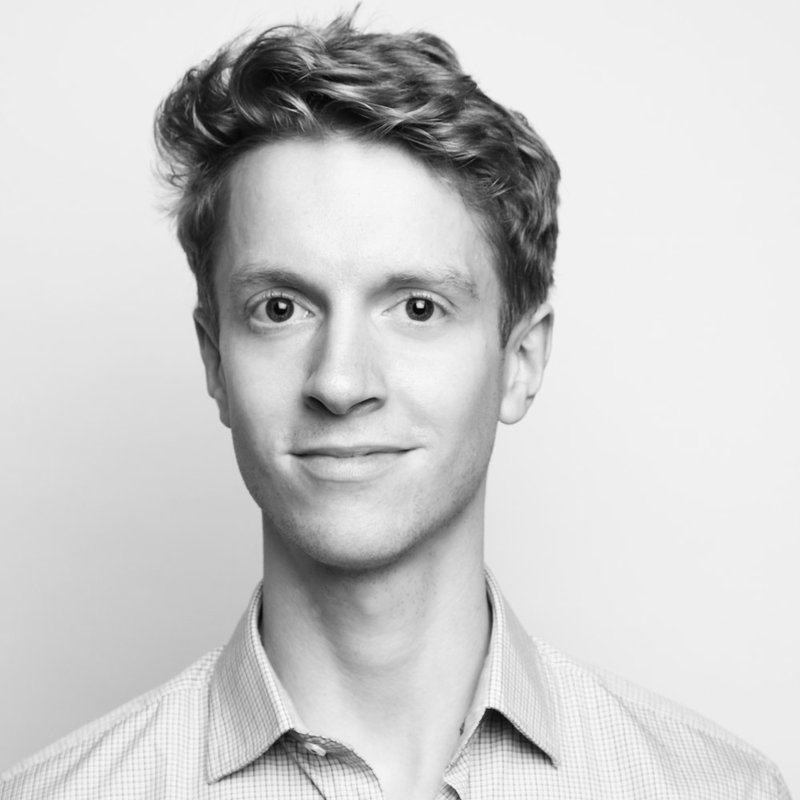 BBC iPlayer was not the only online media player to make the list, as YouTube – a new entry to the top 10 – snagged the #7 spot. 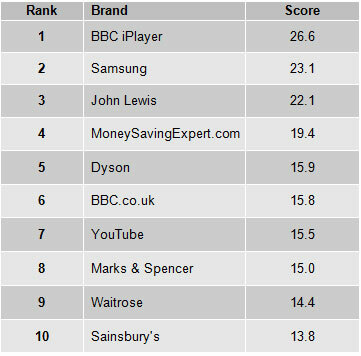 The other new entries to the top 10 were home appliance brand Dyson, BBC.co.uk, and supermarket chain Waitrose. 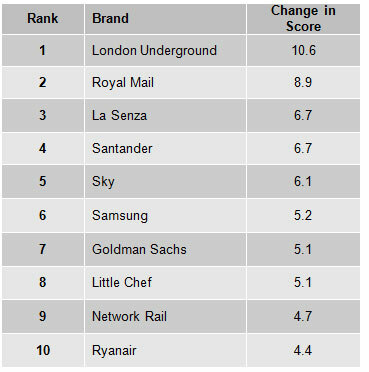 London Underground has seen the largest increase in its YouGov BrandIndex Buzz score in the first half of 2013, making it the #1 most improved brand. It was followed by Royal Mail, the state-owned postal service, and women’s intimate apparel brand La Senza was the third most improved brand. *Buzz is a net score based on whether consumers are hearing something positive versus something negative about a brand through advertising, news or word of mouth.